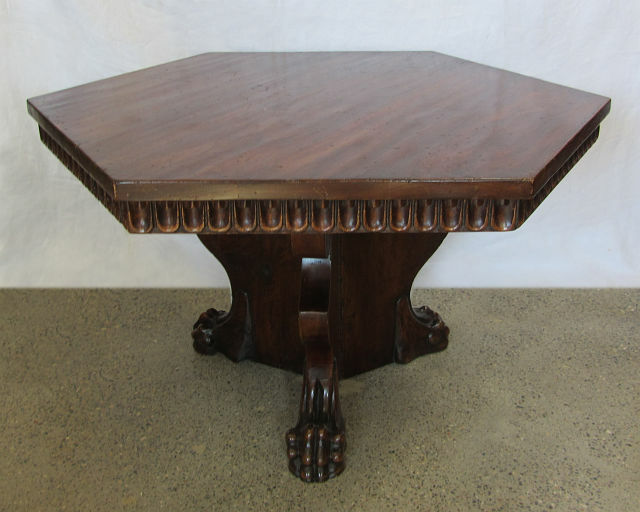 Renaissance style low table of walnut. Base formed from 16th century Italian choir stall bases from the William Randolph Hearst collection, San Simeon, California. Hexagonal table top later. Two tables available.